In 365 days the Kennesaw State Owls football team will take the field in Johnson City, Tennessee to face Southern Conference newcomer East Tennessee State University. Owl Nation can now literally count down the days, hours, and seconds to when toe meets leather. 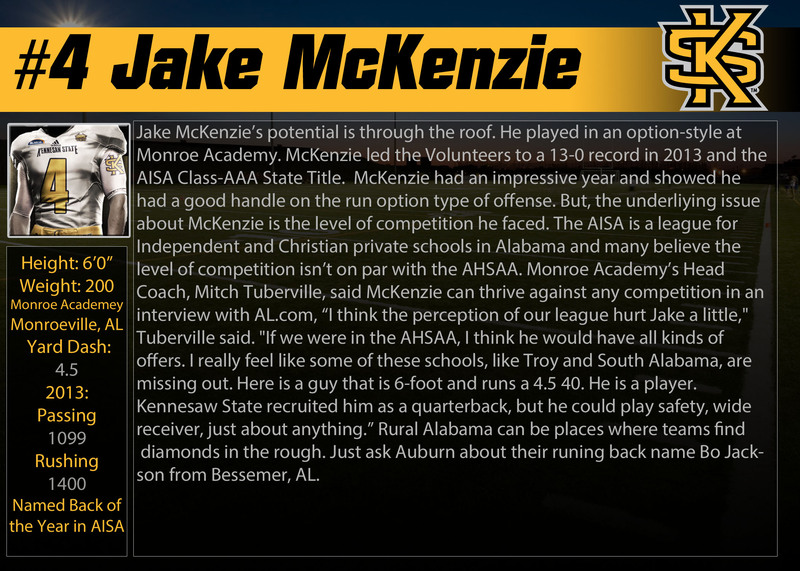 The Kennesaw State football team has everything they need in place to prepare for the upcoming season. Head Coach Brian Bohannon was hired away from Georgia Tech and mentor Paul Johnson to take on the challenge establishing a new program. The coaching staff assembled by Coach Bohannon are veteran coaches and focused many hours of their lives to recruiting. The Black & Gold had their first signing day and brought in 29 players, including Atlanta Journal & Constitution’s All-Classification Player of the Year, Jaquez Parks from Griffin High School. 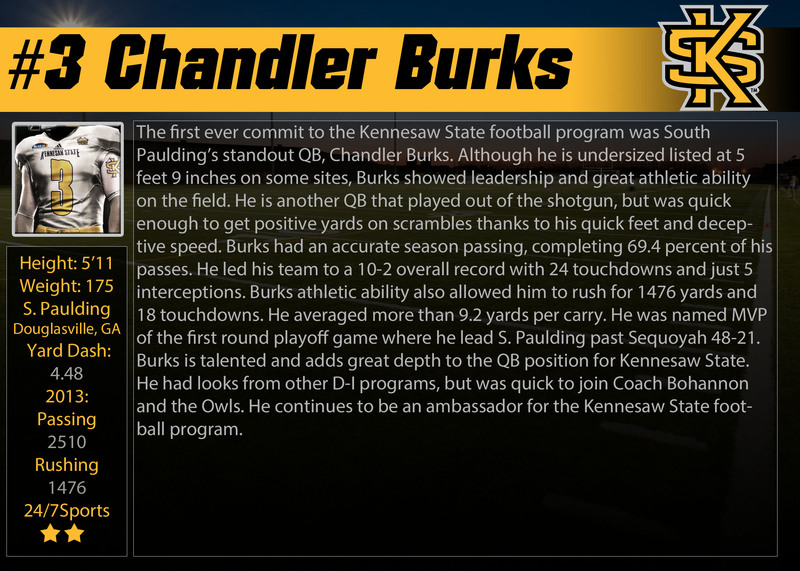 Parks was just one of many really talented athletes to choose Kennesaw State. With the addition of walk-ons and transfers, the Owls roster is now boasts 92 football players. 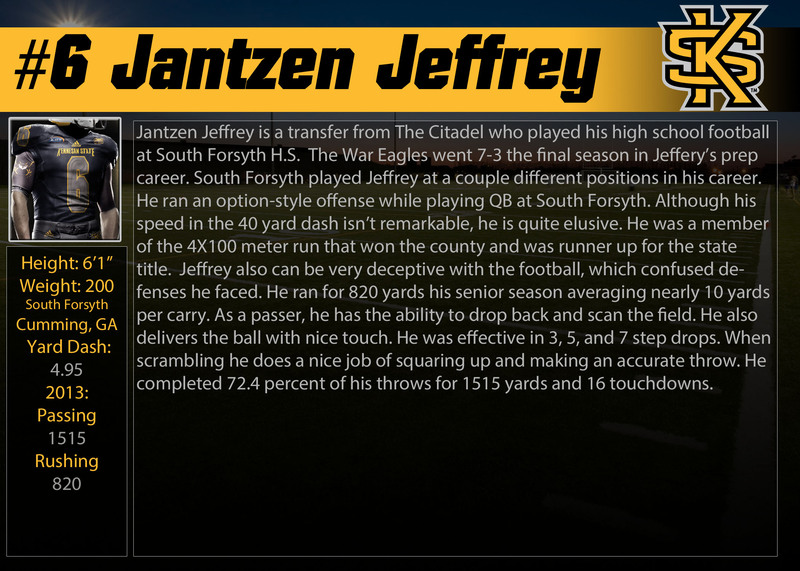 With under a year to go, it is time for the first in-depth analysis of the Kennesaw State roster. 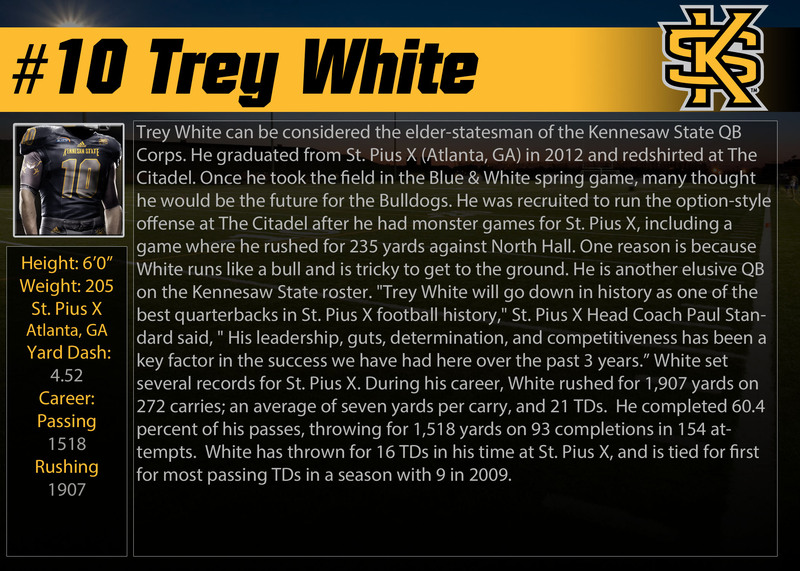 We start with the offense and the signal callers. Posted on September 2, 2014, in Uncategorized. Bookmark the permalink. 2 Comments. Fantastic series so far! Keep up the great work and Go Owls! We’re less than a year away from kickoff! Thanks for the comment. Running backs are next!